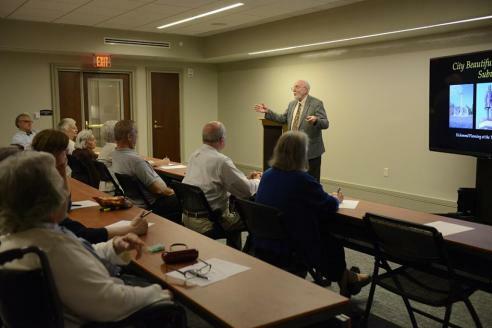 The Virginia Historical Society offers a variety of lectures and classes to the general public and our members throughout the year. Are you a member of the society? Members receive free admission to our Banner Lecture series, a discount to our See You In Class programs, and access to special members-only events and lectures. Join or renew your membership today. In 2008, the popular Banner Lecture Series was endowed in honor of Charles F. Bryan, Jr., to celebrate his twenty years (1988–2008) of service to the VHS as president and to commemorate his retirement after two decades of remarkable leadership. The series, established in 1988 by Dr. Bryan, was the first public lecture series ever offered by the VHS. Contributions to the endowment to support the series are still being accepted. 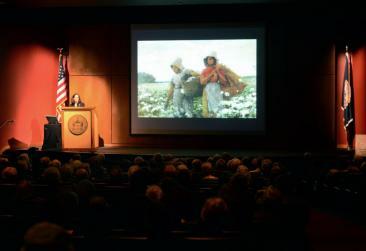 For more than twenty-five years, the VHS has been hosting noontime lectures that are open to members and the general public. Authors and scholars discuss their most recent work and research on a variety of topics, ranging from architecture and art to genealogy and modern-day politics. Held in the society's Robins Family Forum, the Banner Lecture Series continues to be a highlight of the VHS calendar for many people. These lectures last approximately one hour followed, in many cases, by a book signing. The VHS has been recording Banner Lectures since 2007. Watch and/or listen to more than fifty past lectures. Are you interested in learning about a topic in more depth? Register for one of our See You In Class programs. Classes are offered in the spring and fall and are held over the course of two to four Thursday evenings in the Harry M. Bluford Classroom. Topics range from early Virginia to modern-day politics. Learn about the exciting opportunities available to our members. Visit our members events page to learn more about these lectures.